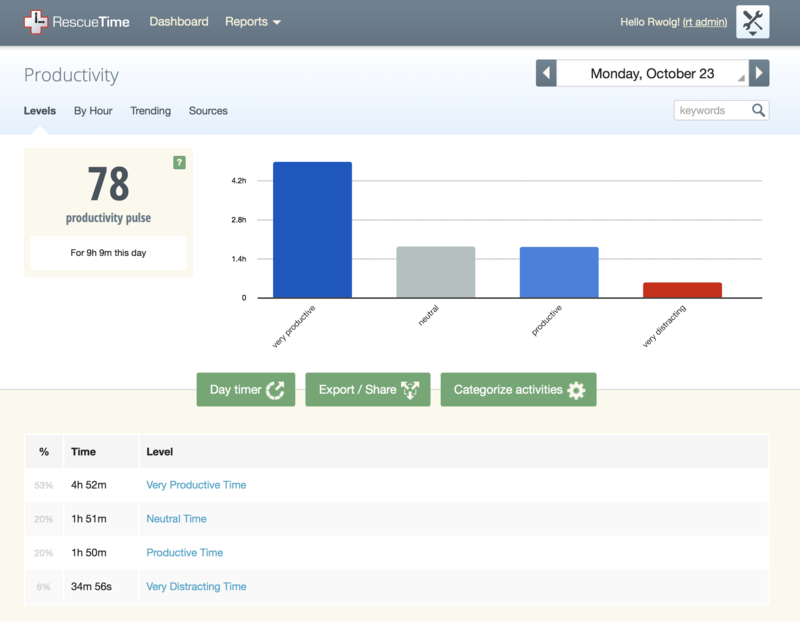 The Productivity report shows you your Productivity Pulse for specific time frame and gives you a breakdown of time spent in the different productivity categories. The Productivity Pulse is a score from 0 - 100 and indicates the level of productive activity within the recorded time. 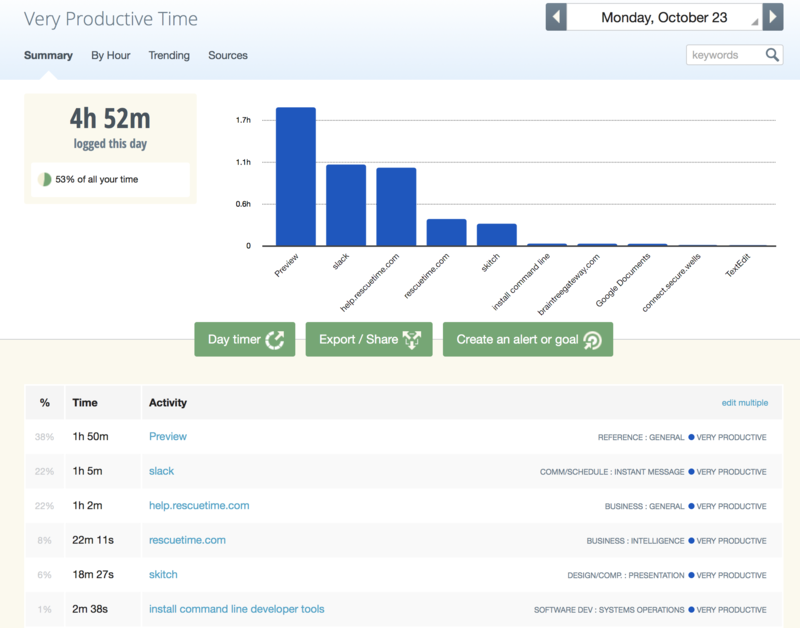 It is calculated as the average, weighted by time, of the different productivity rankings of the activities within RescueTime. You can click on the name of a category to see a list of activities with that ranking. You can create an alert or goal for this category with the Create an alert or goal button. For other page details, see the Applications & Websites report guide. How is my Productivity Pulse calculated?